As the leading goalpost manufacturer in the UK, goalpost safety is an issue that Harrod takes very seriously. One of the best strategies to reduce accidents and injuries is anchorage of freestanding goals. This is reflected in European Safety Standards and FA guidelines, both of which say anchors are mandatory, regardless of the size and type of freestanding posts that are being used. Alongside securing posts correctly, the wear and tear of regular use can see posts become unsafe without regular checks. Here we will outline the best practices to make sure that your posts will be in safe use for years to come. To pass British standard tests (BS EN 748), the crossbar on a full-sized football goal must be able to withstand a force of 180kg applied to the middle of the crossbar for one minute. This should leave a permanent deformation of no more than 10mm, for the crossbar to pass. Similarly, crossbars must withstand a horizontal force of 110kg at the centre of the bar without toppling the goalpost. These tests also apply to smaller goals, such as those used for Futsal, Mini Soccer or Youth Football, but with varying weight pressures depending on the size and shape of the goals. When not in use, it is important that goals are correctly stored and anchored so that they are protected and cannot fall. For this reason, they should never be left upright or unstabilised. Free-standing goals should be locked to a wall or fence anchored, or kept flat so they cannot fall. Of course, the safest method is to leave a secured goal in place where possible. Inspections – when do you need to replace your goalposts? 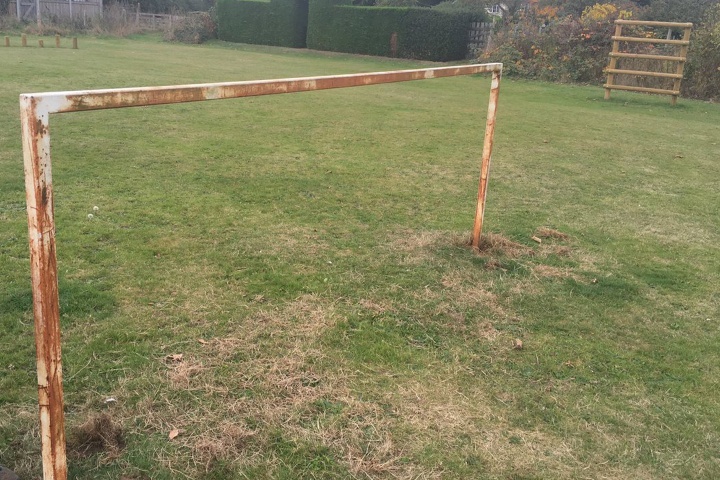 Due to the variety of scenarios goalposts are used in, it can be difficult to determine which tests should be conducted during an inspection and how frequently they should be conducted. A public goal in an open space should be tested every week where possible, but those used under the supervision of a club, or with supervised use, may need to be checked less frequently. Ensure that the goal has not suffered dents or other damage during transit. In addition to the weekly and repositioning tests, annual tests should check every goal for strength and stability in accordance with the appropriate British safety standard. 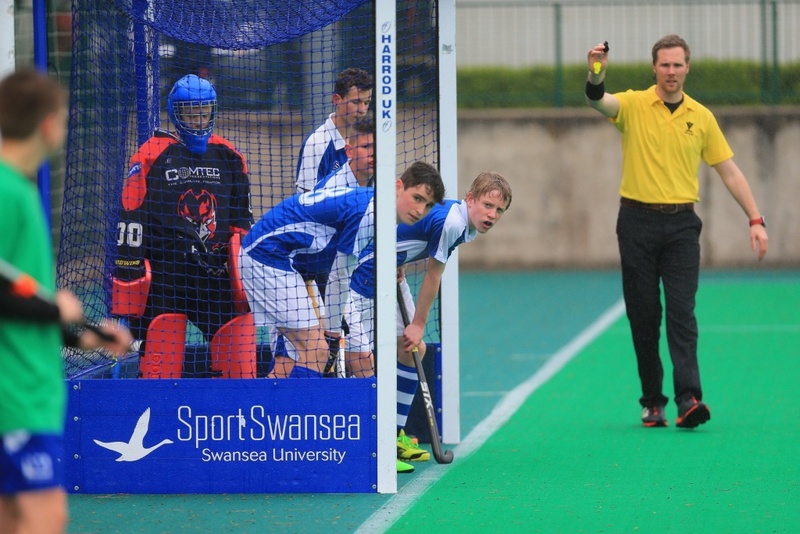 Hockey goals are subject to their own British safety standards (BS EN 750), which require the same strength and stability test that full-sized football goals require (180kg of vertical force and 110kg of horizontal force) and should be anchored safely with chains and clips to attach to the back rails. These goals, along with their nets, fixtures, and fittings, should be periodically checked. 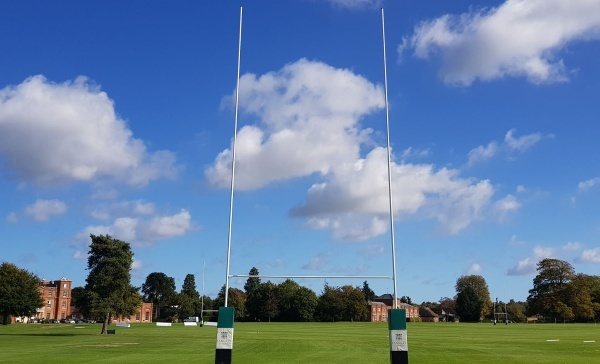 The RFU recommend hinged goalposts so they can be raised and lowered safely, making regular inspections and maintenance as safe and achievable as possible. The upright posts should be checked for stability in both mild weather and high wind. In high winds rugby posts must be lowered as part of the check, upright posts should fit tightly into the ground sockets. Potential weak spots should be assessed, especially where the crossbar and uprights join. These areas should also be inspected for sharp edges. Rust and general wear and tear should also be noted. All bolts and connectors should be secured and concealed. Each risk assessment should be recorded for reference in future inspections. When using posts that require padding, it is important for the safety of players that padding is used during training and warm-up rather than just for matches. If any of these tests reveal damage or faults with a goal, it should be immediately removed from use until repairs or replacements can be arranged. If a goal requires replacement parts it is vital that these should always be purchased from the original supplier. Any replacement goals, nets and fittings should all conform to the relevant British safety standards of the original goal. Repairs that involve welding, incorrect parts or altering the structural integrity of the goal should not be made. Repairs of this type should only be completed by the manufacturer or an agent authorised to do the work. To keep track of damage and replacements, every goal should have a permanent identification label and log book to record the goal's age, condition, and maintenance record. Good practice recommends that this is kept for a minimum of 21 years. It will be dependent on proper use, regular care, and maintenance, but posts that are well looked after are unlikely to need to be replaced for decades.